A decade ago, Richard Louv — author of the bestsellers Last Child in the Woods and The Nature Principle — coined the term “nature-deficit disorder” to describe the increasing disconnection between children and the natural world. Such disconnection negatively affects health and spiritual well-being. The concept, which was later extended to adults, provides the basis for a working framework to reshape our lives. Louv argues that by tapping into the restorative powers of nature, we can boost mental acuity and creativity; promote health and wellness; build smarter and more sustainable businesses, communities, and economies; and ultimately strengthen human bonds. Although results from several studies point out the deleterious health effects of our disconnection with nature, the current focus “is not so much on what is lost when nature experience fades, but on what is gained through more exposure to natural settings, including nearby nature in urban places.” Indeed, research shows that spending time in nature protects against depression, diabetes, obesity, attention deficit hyperactivity disorder, cardiovascular disease, cancer, and many more disorders. But, what are the pathways that lead from “exposure to greenness” to improved health? To answer this question, Ming Kuo, Director of the Landscape and Human Health Laboratory (University of Illinois at Urbana-Champaign), reviewed hundreds of studies examining nature’s effects on health, and published her findings in the scientific journal Frontiers in Psychology. Kuo’s findings indicate that nature enhances the functions of the immune system, thus leading to improved health. “Finding that the immune system is a primary pathway provides an answer to the question of ‘how’ nature and the body work in concert to fight disease,” she said in a press release. “I pulled every bit of the research in this area together that I could find, and was surprised to realize I could trace as many as 21 possible pathways between nature and good health — and even more surprised to realize that all but two of the pathways shared a single common denominator,” Kuo said. She added it was remarkable to see how important a role the immune system plays in every one of the diseases that nature protects against. One way to understand this relationship between nature, health, and the immune system, Kuo explained in the press release, is that exposure to nature switches the body into “rest and digest” mode, which is the opposite of the “fight or flight” mode. When the body is in “fight or flight” mode, it shuts down everything that is immediately nonessential, including the immune system. In the published article, Kuo concludes that the findings can help guide the creation of healthy human habitats, and emphasizes the value of both “wild” nature and “everyday” nature — the views and green spaces where we live. These spaces, or “green oasis”, should be designed to induce feelings of deep relaxation, awe, and vitality, and incorporate trees, soil, and water (preferably moving). The green oases might be an inexpensive, powerful public health intervention especially in areas where health risks are high and landscaping is sparse. I would never think there’s a connection between nature and the immune system. This article made the connection and did it very well. I agree with the disconnection of human from nature. This disconnection may either get better or worse. As mankind evolves there’ll more disconnection from nature due to new inventions and technology. Computers and smartphones are examples of great inventions that’ll further disconnect us from nature. In retrospect, the “going green” campaign will bring us closer to nature. Observing nature is something I do quite often because it’s relaxing. According to the article this helps my immune system by putting me in “rest and digest” mode opposite of “fight or flight” mode which shuts down the immune system. After reading this article it crossed my mind to know if there’s connection between depression and the immune system; since depression is listed that nature helps prevent. Based on my finding they are connected. Depression and anxiety are said to go hand in hand. Fearfulness and worries put pressure on the immune system due to increase in stress hormones such as cortisol and adrenaline. I found the association between nature and health to be quite interesting. This generation is obsessed with technology and many people are steadily engaged with their television, phone, IPAD, laptops, and social media, including me. As a society, I feel that we are disengaged with nature and may not relax and relieve our body of stress like how we as a society may have done so in the past. Kuo stated that our bodies are in constant “fight or flight” mode, and that shut downs everything that is immediately nonessential, including the immune system. She also stated that when we are engage with nature our body switches to “rest and digest” mode which promotes the growing, reproducing, and building of the immune system. This is a very interesting point that makes a lot of sense. However, I feel there are many other factors associated with our health including genetically engineered food, longer life expectancy, and air pollution. I don’t necessarily agree with Bart in regards to our generation being “obsessed” with technology. There is a larger part of our generation globally that does not have access to the technology we do in United States. Yes, we are heavily dependent on it to function through our daily lives, but to say we are obsessed would not be right. Realistically, living an entire lifespan in the woods isn’t really an option. So, we need a good balance of the two worlds. Time to time we could use a dose of “ecotherapy,” a term that refers to healing and growth nurtured by healthy interactions with nature. In a research study done by University of Essex, “taking a walk in nature reduced depression scores in 71% of participants.” Another study in 2010 in the journal of environmental psychology suggests that spending even 20 minutes outside per day could boost energy levels. A study done in Canada in 2011 showed lower rates of depression in rural areas compared to urban areas. However, the results in United States show high rates of depression in urban areas. There is no clear answer but more research is definitely needed to explore these effects of nature on our immune systems. Keep in mind that we all live in very diverse environments. So yes, I agree that other points need to be factored in. Our “environment” is not necessarily the same as other communities. The quality of life, based on “outdoor” factors such as contamination and air quality, differ significantly from one environment to the other; thereby affecting our lives and health (for the better for some and for the worse for others) greatly. Bushak, Lecia. “Benefits Of Ecotherapy: Being In Nature Fights Depression, Improves Mental Health.” Medical Daily. Medical Daily, 26 Oct. 2013. Web. 05 Dec. 2015. You brought up a huge point on genetically engineered food. This practice has been widely accepted and has faced much opposition for it to end. It takes us farther away from nature. Imagine finding the rice one just ate didn’t grow from the ground, it was made in the lab or the beef I just ate came from a cow that was cloned in a lab. I won’t be pleased with finding out such news. Just recently, China intends to clone 1 million to meet country’s beef demand. I guess time will tell how this works out. Sleep is known to have a significant influence on regulation of immune functions. For example, the number of undifferentiated naïve T cells and production of inflammatory cytokines is at its highest during early sleep cycles at night. Conversely, circulating effector functions, such as numbers of natural killer cells, peaks while we’re awake. Studies also show how sleep after vaccinations against hepatitis A increased the number of hepatitis-specific helper T cells and antibody titers. Thus, sleep may play in important role in our memory immune response. By moving away from nature (and sitting in front of television, cell phone, and iPad screens, bright with artificial light) we’re disrupting our sleep cycles in ways that we’re just now beginning to understand. The effect on our body is something we need to pay attention to if we value our health. Kuo M. How might contact with nature promote human health? Exploring promising mechanisms and a possible central pathway. Frontiers in Psychology. Volume 6, 2015. Besedovsky L et al. Sleep and immune function. Pflugers Arch. 2012 Jan; 463(1): 121-137. Now a days, a higher number of diseases are psycho somatic and negative outlook toward life even add into the problem. Nature and greenery help to bring positivity into life which will have lasting impact on our emotional well- being and therefore physical health. When I first read this article I wondered if it wasn’t exercise that was the key factor, and not nature, that elicited these results. Upon reading the reference article, however, I realized that the results were compared with the same amount of time exercising in an urban setting (Kuo, 2015). I wonder then if it might not be the combination of exercise and lack of noisy, glaring stimuli. From my own experiences I know that when I go into the mountains to hike, particularly along a path that has a stream or culminates in a waterfall, I feel rejuvenated and grounded (even if exhausted). This feeling lasts long after I’ve returned, at least until the next paper/assignment/exam. I also find that when I have company with me I connect much more so than if we were to simply sit in a café drinking coffee. This might, however, have more to do with the lack of phones or distractions. But this is precisely my point. Rather than focusing on the myriad of things around you and all the pressures you’re under, when you’re walking in nature you’re only focused on the one thing. It’s a sort of mindfulness practice. A recent study found that meditation, also a mindfulness practice, increased the amount of monocytes and led to higher levels of phagocytosis in users (Fernandes, Nóbrega, & Tosta, 2012). I wonder then if it might not be this, above all other factors, that is the root cause for the increase shown in immune function. Fernandes, C. A., Nóbrega, Y. K., & Tosta, C. E. (2012). Pranic Meditation Affects Phagocyte Functions and Hormonal Levels of Recent Practitioners. Journal Of Alternative & Complementary Medicine, 18(8), 761-768 8p. Kuo, M. (2015). How might contact with nature promote human health? Promising mechanisms and a possible central pathway.Frontiers In Psychology, 61093. I agree with this blog post. As a society we are consumed with technology and our body is under constant stress in response to different stimuli of different modalities. I feel that taking time to enjoy nature can be very relaxing and reduce the effect that long term stress can have on the body. For example, this Summer I was studying for MCAT exam and took 30 minutes break outside in back yard. At that time I was able to relax and observe nature. I found this activity or lack thereof beneficial to my body given that I felt calm. I found this article to be quite interesting because it underlined a major reason why sickness rates continue to remain high as the world as a whole becomes more developed. Louv’s argument that exposing children to nature can make them healthier is quite plausible in my opinion but I do not really see the tie with intelligence. It could be argued that exposure to a more stressful environment forces one to be more mentally acute than if they were only used to tranquility. Kuo’s findings are very significant because it gave proof behind the notion that people living in less stressful places will get sick less often. The critical element to this belief was the role and function of our immune systems. In a more relaxed state (in nature) our bodies are given ample opportunity to make us overall healthier organisms with stronger immune systems whereas in a non- relaxed environment our bodies only have time to focus on providing immediate/temporary relief to our systems. Consequently, I do believe in actively re-instilling the nature that once was all around us and gradually reducing the commercial or industrial structures that rob us of that space. Nature’s ability to considerably reduce stress cannot be overstated. When a person experiences a lot of stress for long amounts of time they have a rise in the cortisol hormone, which after a while can lead to diseases and body conditions reducing the strength of the immune system. During these processes our bodies’ ability to inflame infected areas is suppressed, and active recruitment of lymphocytes and other immune cells is greatly diminished as well. As a result, it should be a global initiative particularly in developed countries that are becoming sparsely populated by nature to get children exposed to it much more often. In general, the immune system does a remarkable job defending against disease causing microorganisms. However, taking a break from our busy lives to stroll through forests isn’t a common approach everyone takes. Sometimes we fail to realize the possible benefits from simply being in nature. Research suggests that besides boosting our immune system, there have been signs of low blood pressure, reduced stress, increased energy levels, and improved sleep. We are in a state where people are dependent on vitamins/ medications to improve their health. For instance, an increasing percentage of people are getting prescribed to Vitamin D; when in fact an easier way would be to be exposed to sunlight. While we are on the subject of medications, some common prescribed medications are Lexapro/ Paxil, which are commonly prescribed for anti-anxiety or anti-stress purposes. In addition to that, drugs like Zolpidem are becoming more common for the use of sleep. However, the current research suggests that by simply having more interaction with nature, we could improve all these conditions without being dependent on medication. The ideology behind being in nature is to breathe in fresh air, be more active, and be more in tune with nature. “We breathe in phytoncides… which have antibacterial and antifungal qualities which help plants fight disease.” And in theory these phytoncides qualities will protect us by “increasing the number and activity of white blood cells.” More research is definitely needed to explore this concept of better health in correlation with nature. I think that Harveens post, specifically in regards to beneficial effects of Phytoncides, has really significant implications in regards to human health. Phytoncides are allelochemicals, which are an antimicrobial organic substance emitted by trees and plants. There are numerous studies that support this claim, two of which I believe provide excellent incite into the manner in which Phytoncides are able to bolster our immune system, however further research is necessary as the data available can lead to numerous conclusions. 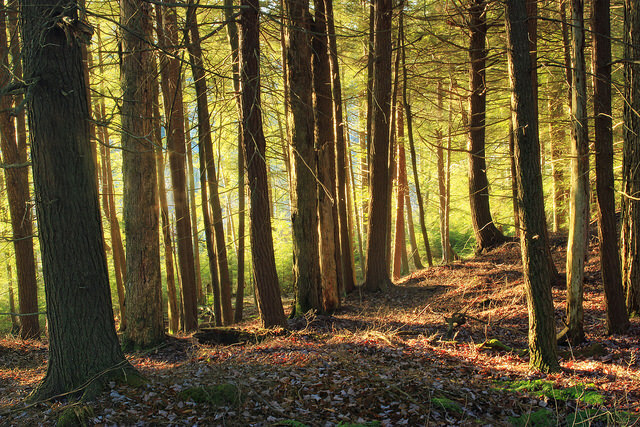 In the first study titled the “Effect of forest bathing trips on human immune function”, Dr. Qing Li surveys the effects of spending short periods of time in the woods, on the human immune system. The study was based off of taking urine and blood samples after spending roughly 72 hours in natured orientated areas with plenty of plants and trees present, while blood samples and urine samples were taken on 2 days after the trip, 3 days after the trip, 7 days after the trip, and 30 days after the trip. What was discovered was that the number of natural killer cells, granulysin, perforin, and lymphocytes in the blood had increased significantly on the days in which the individuals had spent time in the forested areas. Furthermore, the beneficial effects as it related to the activity of the natural killer cells had lasted for nearly a month. Thus it could be concluded that spending time in nature orientated environments where there are lots of woods and trees, can have a beneficial effect on the human immune system. The second study basically reinforces the conclusions of the first study, but also potentially contradicts the claim that Phytoncide entirely benefits the human immune system. The second study, titled “Effect of phytoncide from trees on human natural killer cell function”, was also lead by Dr. Qing Li and a number of his colleagues. In this experiment, individuals were subjected to living in hotel rooms where vaporized hinoki cypress was placed in humidifiers. Blood samples and urine samples would then be taken on the last day. The results were conclusive. Exposure to Phytoncides significantly increased the level of natural killer cells, perforin, granulysin, while decreasing T cells. These results stipulate that human exposure to phytonocides can create a heightened sense of relaxation, and may bolster immune defenses in some capacity. After analyzing both articles it should also be noted that the effects of Phytoncides are not entirely decisive, and different conclusions can be drawn based on the data available. While Phytoncides do in fact increase the level of natural killer cells, they also decrease the level of T-cells, which thus far, has an uncertain effect. It is not known whether or not this can hinder the immune systems ability to fight infections. Li, Qing. “Effect of forest bathing trips on human immune function.”Environmental health and preventive medicine 15.1 (2010): 9-17. Li, Q., et al. “Effect of phytoncide from trees on human natural killer cell function.” International journal of immunopathology and pharmacology 22.4 (2009): 951-959. If I understand this article correctly, the logic of this article is:exposing to natural environment makes people feel relax and safe, swiching the body into a “rest and digest” mode and the physical functions,including the function of the immune system, are therefore automatically improved. However, is the natural environment really so important in generating this comforting zone? Human psychological environment is always changing with the development of the physical world, and “relax” and “safe” sounds really like some individualized idea. Cong Tang, I have to disagree, the concept of “relax” and “safe” is not an individualized idea it is a universal concept that can be seen in hospitals, homes and businesses that promote health. I work at a hospital on a hematology/oncology unit caring for mostly leukemia patients, on my floor we provide comfort care by playing soothing nature sounds of birds and ocean water, we also have a volunteer violinist provide music therapy so the patients can relax. In addition, we provide a safe environment by locking the unit off to visitors, not allowing children less than 16 year of age on the unit, and making all staff members and visitors wear a surgical mask to protect our immunocompromised patients. The concept of relaxation and safety is important in treating patients with leukemia because any stress or anxiety could be detrimental to their health and immune system. Studies have shown that chronic stress can negatively affect cancer growth and progression (1). Nature itself is not only beneficial to healthy individuals it is also beneficial to those who are sick and dying. 1. Moreno-Smith M, Lutgendorf SK, Sood AK. Impact of stress on cancer metastasis. Future oncology (London, England). 2010;6(12):1863-1881. If we do relate the enhancement of body function to the improvement of mood and feeling, is nature environment so indispensable in this process? For now I haven’t had a clear understanding of the relationship between them. However, after some digging following my previous post, I do realized that exposing to nature environment indeed improve the function of immune system but in a physical and biological way, especially with individuals in their juvenile period. In natural environment, especially in the woods as demonstrated in the image in this article, there are countless antigens, that human immune system may encounter with during exposure, mostly by aspiration, ingestion and through small wound on skin surface. these antigens are generally not pathogenic and shall not trigger a severe immune response, but a gentle response which may still up regulate the level of some cytokines critically involved in the innate immune response, such as IL-17 and IFN-γ, leading the whole body to an anti-infection stage. Also, there are now statistical evidences suggesting that early exposure to these weak-reactive antigens may improve the immune response and elimination of pathogenic antigens such as infection and toxins, and may also contribute to reducing the risk of allergy, such as to animals, gluten or nuts. Contrary to what the article presented, even when you are outside one can still feel stress. Stress can come from a variety of situations like for example a fear of dogs (an extremely popular american pet). Although we have came a long way from our ancestors whom had to fight off tigers and wrestle bears, there are still elements out in nature that will stress the body. the author mentioned that rest and digest is achieved when we feel completely safe. Safe has such an arbitrary meaning that it could be interpreted differently from person to person. The thought to bring the outdoor environment indoors is the logical path to follow. This needs to be implemented on a grander scale than selling a few oxygen enriched air conditioners to the countries “elite”. The government should take the lead on this one. They should acquire a company like GE to develop an oxygen enriched air system to be inserted in all public locations (official buildings, schools, libraries). On top of this, offer tax incentives to business owners small and large for inserting the system. I agree that nature could indeed cause stress to the body. If put in a uncomfortable situation, the human nature is set to become tense and unrelaxed, therefore, if this happen in nature, then maybe nature isn’t the best idea for reaching the level of relaxation that is needed to enhance the immune system. Also, nature is packed with pollutants and toxins that will counteract with our “stress-free nature zone” and have a negative impact on our immune system. The nature that we once had, before industrialization took over, would be a better solution in giving that fresh, clean inhalation of fresh air, but we have moved towards a different type of nature, one that is bad on our respiratory system, causing allergies, asthma, and respiratory issues. Although there are nature environments that can possibly cause stress to the body, this article was focusing on the natural environments that promote wellness. When our body is stressed out and needs to respond to a stressful stimulus, the body activates the sympathetic nervous system. The activation of the sympathetic nervous system leads to energy consumption as well as increases in certain bodily functions, such as heart rate. In contrast, the parasympathetic is activated to restore the energy that has been depleted. It is called rest and digest because it leads to a relaxed state due to decreases in certain bodily functions, such as heart rate as well as increases in others such as energy storage. I disagree with your statement that nature isn’t the best idea for reaching the level of relaxation that is needed to enhance the immune system. In contrast, natural environments mentioned in the article that promote activation of the parasympathetic system will in fact lead to enhancements of the immune system. The immune system requires a great deal of energy expenditure. Therefore, the body switching to the parasympathetic system will promote enhanced immune function due to the fact that the parasympathetic system enhances energy storage (nutrients) that can then be used by the immune system. The nature that this article refers to is that which is free from pollutants and toxins that may be harmful. Also, there are parts of the US as well as countries where air pollution is minimal. In addition, there are also forests that are so remote from industrialization and far from pollutants. Like the article explained, spending time in a natural environment promotes wellness by protecting against numerous ailments. I firmly believe that the positive outcomes of spending time in nature far out way the possible negative outcomes, if any. I have no doubt that Kuo was able to find such a great similarity with the immune system and nature. When one thinks of nature, we think calm, peaceful, fresh air, and relaxation. If the body is relaxed and stress free then it is clear that it can function properly. Kuo referenced that fact that nature can switch the body into the rest and digest mode of parasympathetic nervous system with slower heart rate and increased gland activity. With nature come many factors of temperature, air, rain, and atmosphere. Would the body act different in hot natures versus cold natures? What would this do to our bodies specifically our neuroendocrine and immune systems. In a tradition Iranian medicine, a study of thirty-seven male volunteers were divided into two groups, hot and cold nature, to test these effects. Traditional Iranian medicine (TIM) is a root that goes back 2000 years in Europeans, Arabic, Roman, and Chinese medicine. The brain and the immune system are the adaptive systems of the body. The central nervous system (CNS) receives message from the immune system and vice versa. It is believed that an important rule is having a balance in within the body elements, warmth and coldness is a big factor. The cold nature men had a higher parasympathetic activity in comparison with the hot nature men. There are also findings that there are high sympathetic activities in cold nature men. Norepinephrine/epinephrine along with IL-4/IFN-ϒ ratio were much higher in hot nature groups then cold. It was concluded that a person with hot nature had a more sympathetic nervous activity, less adrenal sympathetic, and parasympathetic nervous activity and more deviation of the immune system toward T-helper (Th) 2 responses that a person of cold nature. This study showed that even though temperature is a factor of nature it had major effects on the immune system and studies should be further investigated to see that over time would people in hot natures build a stronger immune system then people of cold temperatures. The effects of nature on health and reducing stress have been long documented. It is no doubt that Kuo’s research finds that spending time outdoors has a direct effect on the immune system. Even people outside of the scientific community are aware of the effects that stress, especially long term stress, can have on an individual’s health. There have been numerous studies linking stress to changes in immune system function. In particular, linking chronic stress to increased inflammatory response. Chronic stress from living in an urban area can be contributed to factors such as noise and air pollution to living in high crime or low income areas. Inflammation is one of the most common responses of the immune system. In the short term, it is a necessary reaction, however the effects of prolonged inflammation could be negative. Continuous production of various inflammatory products could potentially wear out the immune system or at the very least, make it less likely to respond to pathogens when truly necessary. This could be problematic for children and their immature immune systems or adults who may be otherwise immunocompromised. Being one of the first generations to balance outdoor activity with indoor video games, I am not surprised to see that exposure to nature does have some big bonuses when compared to breathing my stale apartment air. However, a large number of my peers can not pursue long bouts in the wilderness either due to time, resources, or even a lack of interest. I think the real trick here is to figure out a way to bring the benefits of the wilderness in doors, which I believe could be achieved through phytoncide use. Why not diffuse an air conditioning filter with a number of these small molecules from a wide range of different plant species, effectively building a personalized biome within your home? With technology continually advancing, I would not think it impossible to view our living spaces more as terrariums with customizable airscapes and microflaura/fauna rather than sterile urban cubes. While I do think that indoor air quality improvement through advanced technology certainly deserves exploration, exposure to one specific chemical element in nature is undoubtedly not the only benefit derived from being in nature. Kuo’s research looked at many factors – physiological as well as psychological, behavioral as well as environmental. Plants don’t just give off phytoncides – they release oxygen and negative air ions, and absorb carbon dioxide. While another poster has written that being in nature does not necessarily make one feel “safe” or less stressed, I would consider such a person the exception, rather than the norm. How does one NOT feel calmer, more relaxed, and more at peace with the world in the woods, versus being in a busy city or being in a stuffy apartment, exposed to radon and surrounded by noise and encroaching technology? In fact, Kuo’s research confirmed that views and sounds of nature reduce sympathetic nervous activity and increase parasympathetic activity and improve immune health long-term. Further, being in nature gets a person off of his/her rear end and moving (with exercise further stimulating improved immune, as well as overall health), and increases vitamin D exposure/absorption. Personal decisions regarding where and how we live should be coupled with environmentally responsible research and business ventures and governmental policies that encourage and advance improved health. Reintroduction of physical education in schools is essential, and in fact, I would go a step further: not only should school buildings be made as “green” as possible (I like the idea of phytoncide-induction air conditioning systems), but school curriculums should incorporate interaction with the outside environment into every subject, and as many lesson plans as possible. We are becoming more and more disconnected from the natural world, and that is not only detrimental to our health, but leads to irresponsible policy decisions that negatively impact everyone, long-term. A direct link between nature and immune health is yet another reason to reverse that trend. I definitely agree with this post and the studies that are being used for support. Just pondering on how individuals today are not as active as they once were enforces thoughts on how the health of people today has declined in comparison to our predecessors. People were more active in nature and participated in nature revolving activities, including, gardening, playing sports, hunting for meat, fishing, and other outdoor activities. This could explain the simple fact that allergies have become much more common today and according to the CDC, 7.8 million people have respiratory allergies, 4.1 million people have food allergies, and 8.8 million people are faced with skin allergies. I believe that our immune system should be exposed to different microbials and pathogens, ones that are often found in nature. This will assist the body in developing better immune response and more memory cells. When we are not out and about (in nature), we are depriving our immune system from familiarity with these pathogens and our body goes into shock “false alarm” once it has an encounter with these microbials later and do not know how to handle them. This results in the large production of corresponding immunoglobulin E (IgE) antibodies, leading to defense mechanisms attacking the harmless substance, basically an overreaction from your immune system. Eating local honey is supposed to be a new alternative to beating pollen allergies, which illustrates the importance of being active in nature-type environments. Indulging in nature can have direct and indirect benefits, ranging from eating healthier/ cleaner foods and an improved immune system. Nature can also serve as an epitome to relaxation, especially when the beauty, natural aromas, and serenity captures the mind of an individual, allowing them to meditate and find a sense of peace. Being unstressed is definitely a path to better health and an overall, better quality of life. I completely agree with you Beth. Don’t we all just love nature and the outdoors? There has been past assumption in the ancient days before science that showed the correlation of nature and stress. What happens when you’re frustrated or stressed or angry? One says I need some air and heads to the beautiful outdoors. The correlation of inflammatory response with chronic stress is very valid because we know inflammation is controlled by cortisol (hormone). When this hormone cannot do its job then the body’s inflammation system is out of control. There are studies that show chronic stress can alter cortisol effects to change the inflammation response. Urban areas distinguish some factors that can cause lots of stress. Over working to provide food for the family and barely resting can put stress on the body. Even if you’re a student and over study during finals time, then the stress on your body is more severe. The many things to understand from nature are the temperature, the fresh air, and the soothing feeling tend to calm the body and prevent hormones from being irregular. Whether its cortisol in inflammation or norepinephrine with temperature, the body needs the best levels to reduce stress. This concludes that nature does have an effect on our stress levels but the correct outdoors must be utilized versus just stepping outside. This is a technical explanation of the process that occurs when people ‘clear their head’ by going for a walk in a natural setting. After reading this post, I am thinking if I should move out of the “concrete jungle” in a downtown city and how this might impact my own health and immune system. According to the world health organization, 54% of the world population lives in an urban area. According to the World Bank, 81% of people living in the US live in urban areas. Therefore, a huge population is at risk of the harmful effects urban living can cause. After reading Ming Kuo’s article, I was impressed by the vast health an immune benefits that nature and green space can bring to people. The “active ingredients” Ming Kuo introduces in Figure 1 are all too true in living in a city compared to a rural, nature areas. For example, increased violence, increased air pollution, hardly any trees (decreased phytoncides), hardly any natural sights or sounds, are all factors I experience every day living in an urban area. These indeed can cause a number of physiological, psychological and behavioral conditions and ultimately negatively impact my health, and many others in similar living and working conditions as myself. It would be interesting to see a study observing a population or case studies of people living in a very urban area, such as NYC, that are not healthy and have some of the adverse health effects in Figure 1 on the right column, and seeing how their health and immune system changes when they are relocated to a rural, greener area. I wonder how soon the beneficial effects would arrive and the irreversibility if someone has had depression, obesity, diabetes and the other harmful health effects Ming Kuo discusses. For those living in urban areas, I wonder if regular meditation and/or therapeutic and relaxing exercises like yoga, and having indoor plants and a negative ion machine would show similar effects on the immune system and the general health of people compared to those that are getting their health benefits from nature. Even if someone lives in an urban area, almost every city has some sort of forested park and green space, if not several of these areas, or are within a short driving distance to forested trails or areas of nature. It seems as though everyone should re-connect with nature on a regular basis. However, how much time is really needed to see these effects per day, or per week? Everyone is different, as some people have a hard time decompressing and too stressed in their daily lives, and others might only need a little time each day to get into the “rest and digest stage.” This post and Ming Kuo’s article really shines light on the importance of being surrounded by nature. However, this of course needs to be taken with a grain of salt, as everyone is different and some people can live a long healthy life living in an urban area, not around nature. However, research seems to suggest a general trend of people being healthier when being around nature. Kids spending time in nature is on the decline, and that may be detrimental to their overall health and immune system functioning. In reviewing Ming Kuo’s findings regarding the link between experiencing nature and improved immune functioning, I was particularly impressed that a direct link has been found between experiencing nature and increased NK functioning, with a simultaneous decline in inflammatory cytokine activity. The concept of a central pathway that accounts for improved immune functioning instead of the interaction of multiple, independent factors seems counterintuitive, yet the evidence Kuo cites is remarkable. When two-hour walks in the forest can increase the number and activity of NK cells by more than 50% and keep the NK activity elevated for a month (Li, 2010 – http://www.ncbi.nlm.nih.gov/pubmed?Db=pubmed&Cmd=ShowDetailView&TermToSearch=20487629), one must wonder what, exactly, is happening on a biochemical level in the body to have such a profound impact. The direct pathway that Kuo demonstrates between experiencing nature and many health outcomes, including declines in ADHD and incidence of infectious disease, flies in the face of current school policies cutting recess and physical education in favor of devoting more class time to standardized testing. In Georgia, legislation changes in 2000 (passage of the “A-Plus Education Reform Act” – http://www.legis.ga.gov/Legislation/Archives/19992000/leg/fulltext/hb1187.htm) reduced PE time for middle school children from 225 minutes per week to zero mandatory hours. For elementary school students, only 90 combined hours of health and PE are recommended per year (although many schools do not adhere to that recommendation), and high school only requires one semester of “personal fitness,” usually consisting of less than an hour-long class of games played inside a gym (Id). Not only is this woefully inadequate and a likely contributor to increasing childhood and adolescent obesity levels, but Kuo’s study and the research she cites in support of her findings leads to the reasonable conclusion that these policies adversely affect student functioning in school as well as long-term immune health. Schools require numerous vaccinations as a way of protecting students from infectious disease and boosting individual immune systems and herd immunity. Policies limiting outside activity and access to nature during the day is likely negatively impacting, if not completely countering, those beneficial effects. Revision of Georgia’s laws and policies to increase access and time in nature for all students should be considered. I agree in that there should be more outdoor activity for students in school, but a huge population of students in the US goes to schools in urban areas where there are no outdoor areas to play or limited space, and school liability and time constraints of students being outdoors is a huge factor as well. I believe it all starts at home. If your parents are healthy, active and spend time outdoors then their children are more likely to do the same after school, on the weekends and in the future. The problem is that too many parents let their kid’s just stay inside after school and on the weekends, watching TV, playing video games, etc. Eventually, they will become independent after high school or college and probably live the same lifestyle indoors. If we stress the importance of being outdoors with nature to children at a younger age, whether it is after school or on the weekends, then they are more likely to live a healthier and more outdoors lifestyle when they get older. I’m sure schools would love to have their students be healthier and have more outdoor time, but school systems already have mandatory classroom hours, budgets, and safety/liability issues, I just do not see schools giving students more/any outdoor time, other than field trips or optional after school activities/sports. Vaccines are crucial for the general health of the population, and without them, could kill many, many people. Not giving outdoor time will not really kill anyone to the same extent as not vaccinating. Therefore, I really don’t think it is the schools responsibility to give outdoor time, I believe that is for the parents to do at home. Li Q has some very interesting research, not only on the immune system’s benefits with NK cells and being outdoors, but also on cardiovascular benefits. Since cardiovascular disease is the leading cause of death of the US population, according to the CDC, Li Q’s research stresses the importance of being in nature and outdoors. They found that walking in forested environments for 2 hours in the morning and afternoon on Sundays reduced blood pressure, noradrenaline and dopamine, while increasing adiponectin, and DHEA levels, which are great for the health of the men studied. Not only did Li Q’s research find that walks in forested areas are beneficial to the immune system, but also to the cardiovascular and other body systems. This article by Li Q (Effect of forest therapy on the human psycho-neuro-endocrino-immune network), although mostly in Japanese seems to shed light on the biochemical pathway you are talking about. The therapeutic effects from walking in the forest are affecting the nervous system, in turn endocrine and immune system, and in turn other body systems. It all starts at the nervous system and the body taking in the senses nature is giving us (sights, sounds, smells). As I read your comment I could barely contain myself because I don’t think you missed a single point that I processed as well. As a parent of a four year old little boy I do feel that it is my responsibility to push my son to go outside and play in lieu of staying indoors to play on his iPad (which was provided by his grandparents. I definitely wouldn’t have bought him one at two like they did!) While I was growing up, my sister and I were sent to Mississippi to my grandparents for the summer. While we were there, we were not allowed in the house unless it was thundering and lightening or dark outside. Note that I said thundering and lightening. A summer rain was not a good enough reason to be in the house. We were always told to go outside because it is good for us. Kuo’s study provides evidence for what my grandparents told me my entire childhood. I can say as a kid, except for my constant ear infections due to twisted tubes, I was barely sick. My sister on the other hand who loved to stay indoors and watch TV or talk on the phone stayed sick. Mostly repeated strep throat infections. As a parent, I am anti-video games. My son has one leap frog gaming system. I personally feel like children of today take an immunological hit because “the Millennials” are the age of technology. They are the ones having children now. So since adults rather remain inside with their technology, the encouragement to send their children outside is missing. I completely agree with you on the front that this rising generation seem to be far more susceptible to common bugs that we used to brush off when we were kids. I have a younger brother (15 years younger than me) and I have been able to notice the difference in the activities that are considered “normal playtime” between the two generations and the frequency to which they get sick. As a child I would get sick once or twice a year, usually when it was peak cold and flu season, and to this day I am not allergic to anything like grass or dust. On the other hand, my younger brother suffers from every allergy under the sun, and is in a constant flux of being sick. The problem is that even pediatricians this day and age think that this is normal for a child. Kids are meant to go outside, roll around in the mud, put stuff in their mouths, and generally just get dirty. That is the only way the immune system gets any sort of work out and has the opportunity to create a range of B and T cell responses appropriate for when it is reintroduced to the pathogen. Personally, I think this modern-age movement of coddling your children and wanting them to be the portraits of perfection every second of the day is taking a toll in their lives. Not only do they miss out on a valuable lesson about connecting with nature in order to create consciousness of the fact that we should be doing everything in our power to protect it, but it cutting down the opportunities for their bodies to create their cellular armies and defend them against oncoming infections. Very true, and thank you for your informative reply comment. It is true that children these days do not get enough outdoor time and exposure to build up their immunity. I believe that more children are getting sick and get diseases in numbers we have never seen before, because they are not exposed to germs at a young age. It is important for children to be exposed to certain germs (not deadly ones, of course) while young to get their immune system used to it. For example, I loved to eat grass as a child, and I am sure I ate dirt along with it. So, I probably had developed a decent immune system from all of those germs, along with enjoying playing in mud and putting everything in my mouth. These days, I see a lot of parents constantly sanitizing their children hands and yelling at them or preventing them when putting items in their mouth. Parents need to loosen up a bit and realize that children need their immune system built by being outdoors, being exposed to certain germs that are actually beneficial to them! This article really resonated with me starting with one of the first lines. The author of this insightful article, Dr. Roberta Attanasio evokes a time when children were more active out doors by bringing up the term “nature-deficit disorder”. I can personally recall as a child having played outside with my neighbor’s kids, and engaging in outdoor activities such as riding bikes on dirt trails, playing basketball, and even fishing in neighborhoods adjacent to mine. However, sometime with the last few decades, there has been a precipitous decline in the number of children, and the frequency of which children play outside like my generation, and so many that preceded my generation did; and quite often at that. I frequently observe this phenomenon with my sister’s children, and the children of my cousins and friends. Often times kids these days are to busy attached to their computers, video games, and TV screens, and a deterioration in personal and social skills is beginning to take place, and becomes more overtly obvious with younger generations. The author of the article goes on to discuss the potentially positive reinforcements to our immune system that we are depriving our bodies of by not exposing ourselves to nature more often. Dr. Attanasio states “But, what are the pathways that lead from “exposure to greenness” to improved health”? Dr. Attanasio also cites expert Ming Kuo who asserts that exposure to nature can have positive effects on the immune system. This related back to Richard Louv’s book entitled “The Nature Principle” where Louv states in the introduction to his book: “Now, after a stressful period of our lives, we were back for a couple of weeks. We needed this time for ourselves, and we needed it for Jason”. This is an important reference as the article discusses the benefits that one can acquire from exposure to nature, and the negative effects stress can have on the body. While I have personally heard similar assertions before I always dismissed them as old wives tales, however the science behind these statements is very real. For example, in the 1980’s and 1990’s Dr. Janice Glaser PhD, and Dr. Ronald Glaser PhD, had conducted a study where they observed University students preparing for exams and found that those students exhibited a weakened immune system including a decrease in the level of natural killer cells, and almost stopped producing gamma interferon and T cells. This is quite a significant development as these highly important components of the immune system are responsible for fighting tumors, viral infections, and bacterial infections. Likewise doses of relaxation as sought out by Louv in the introduction to his book the Nature Principle, can have an equally beneficial effect on ones immune system. In one study lead by Dr. DH Kang entitled “Dose effects of relaxation practice on immune responses in women newly diagnosed with breast cancer: an exploratory study”, Dr. Kang provides a body of evidence indicating that on a dose dependent spectrum, relaxation can have a positive correlation to the bodies immune system which can include a variance of natural killer cell activity and lymphocyte proliferation. Kuo reinforces the points I made above in regards to the effects that nature, relaxation, and stress can have on the immune system by stating “One way to understand this relationship between nature, health, and the immune system, Kuo explained in the press release, is “that exposure to nature switches the body into “rest and digest” mode, which is the opposite of the “fight or flight” mode. When the body is in “fight or flight” mode, it shuts down everything that is immediately nonessential, including the immune system.” This in essence correlates with the studies I cited above in terms of the effects that both stress and relaxation can have on the immune system. American Psychological Association. “Stress Weakens the Immune System”. Psychological Science, Research in Action. 23 February 2006. Web 14 November 2015. .
Louv, Richard. The Nature Principle: Human Restoration and the End of Nature-Deficit Disorder. Chapel Hill, N.C: Algonquin Books of Chapel Hill, 2011. Print. Kang, Duck-Hee, et al. “Dose effects of relaxation practice on immune responses in women newly diagnosed with breast cancer: an exploratory study.” Oncology nursing forum. Vol. 38. No. 3. 2011. I agree with Adam’s statement that younger generations are spending less time outside and more time attached to computers and video games inside the house. These behaviors have been occurring since the early days of the internet era. However, I don’t think that this is the only reason that people are spending less time outside. In combination to all this new technology, there is also an increased social tension due to animosity between different countries. Not to mention that higher rates of crime keep vigilant mothers from wanting their children out for very long. Whilst our generation enjoyed the comforts of running around outside all day until our parents called us home, today there is a much higher likelihood of a child being kidnapped when outside, having trouble with local law enforcement because your child is “unsupervised”, or an adult being a victim of petty crime while enjoying a walk in a peaceful, yet likely solitary green space. In addition, most parts of the world where not spending enough time outside is becoming a problem are more industrialized settings. While the benefits of being outside might ramp up the function of NK cells, it might also cause adverse effects because of pollution, which would in turn weaken the immune system. Although, scientific data does seem to sometimes contradict itself in this matter it should be noted that increased levels of ozone, and certain pollutants are known to cause respiratory and T cell problems. It seems to me that our responsibility in this case is two-fold: 1) we have to work to make our green spaces apt for us to be in them by doing our part in the efforts to stop climate change; 2) create a society that in which we should not hold any fear when we step outside so that we may reap the benefits that Kou describes in her article. Albright, et al. Airbone pollutants and the immune system. Otolaryngol Head Neck Surg. 1996 Feb;114(2):232-8.